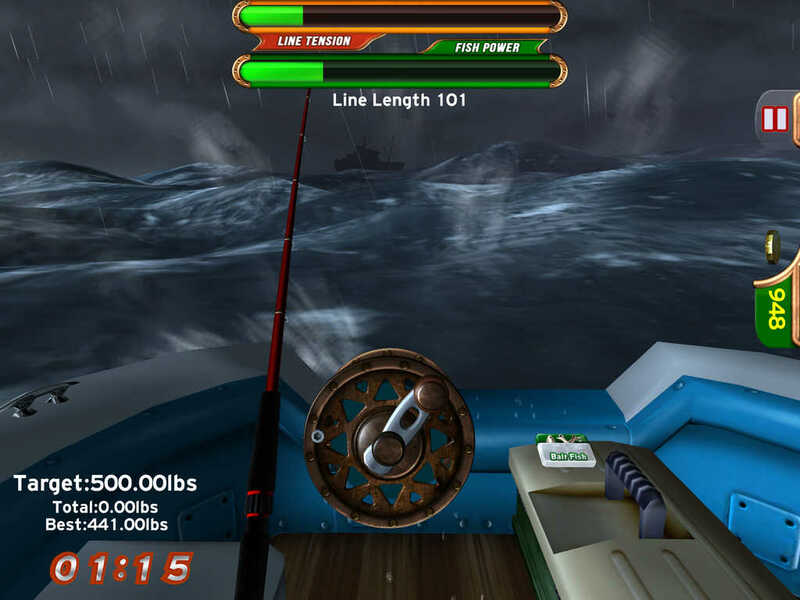 From the award winning creators of Flick Fishing comes an awesome new fishing game, FAST FISHING! 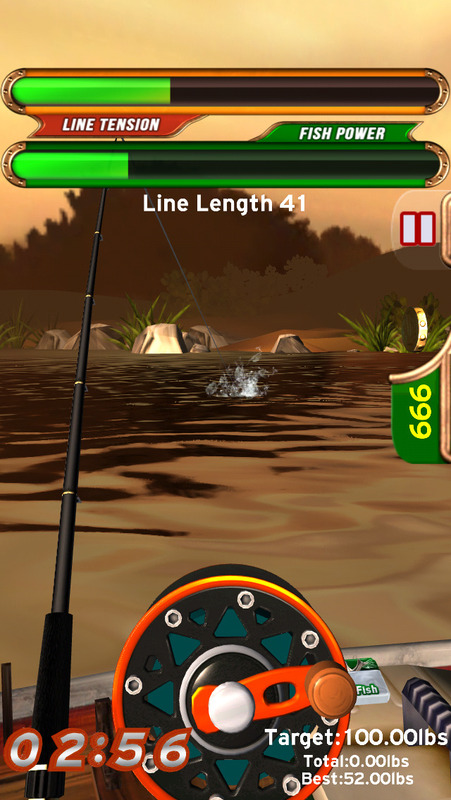 Fish your way through 22 stunning levels by catching fish quickly enough to avoid running out of time! 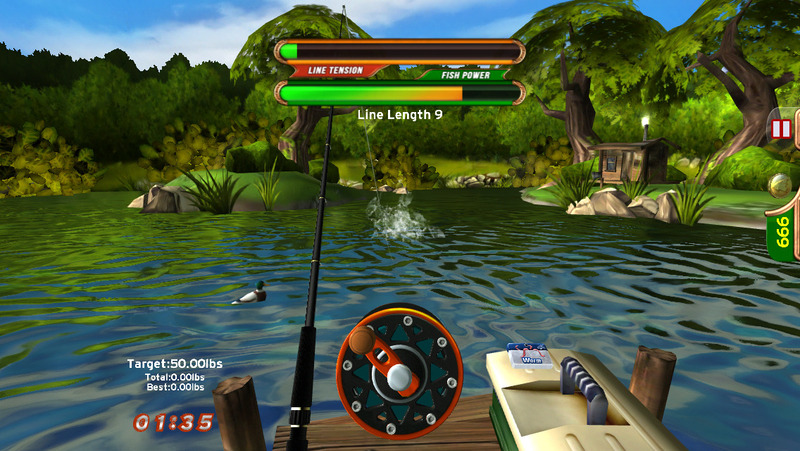 Unlock new Gizmos, Rods and Reels as you fish in the 6 different areas, with multiple fishing spots in each area. From the tranquil Shiny Pond to the dramatic Doom Deeps, each spot contains many different types of fish as well as some older and wiser named fish that will be hard to catch. If you feel like a change of pace, you can tap Just Fish! and fish in any spots you’ve unlocked for as long as you want in a session. 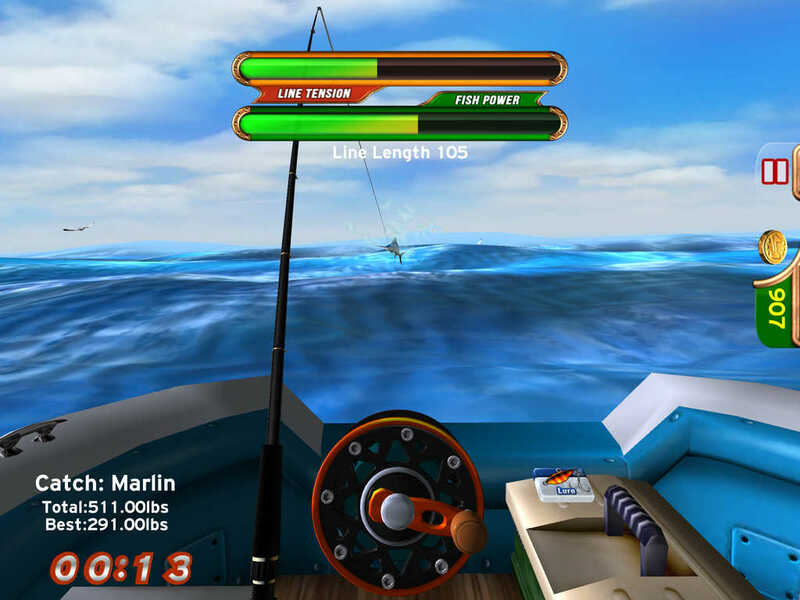 Fast Fishing can be downloaded and played for free, but players also have the option of purchasing extra space in their tackle box for more gizmos, rods and reels. These spaces also give you Chocolate Crowns which are used to access the Zen Mode areas and can be tossed into the water to tempt bigger fish. As with all new Strange Flavour games, Fast Fishing uses our PlayNice system to make sure players don’t end up overpaying for their play, while rewarding the developers with a reasonable amount for their (hard!) work. 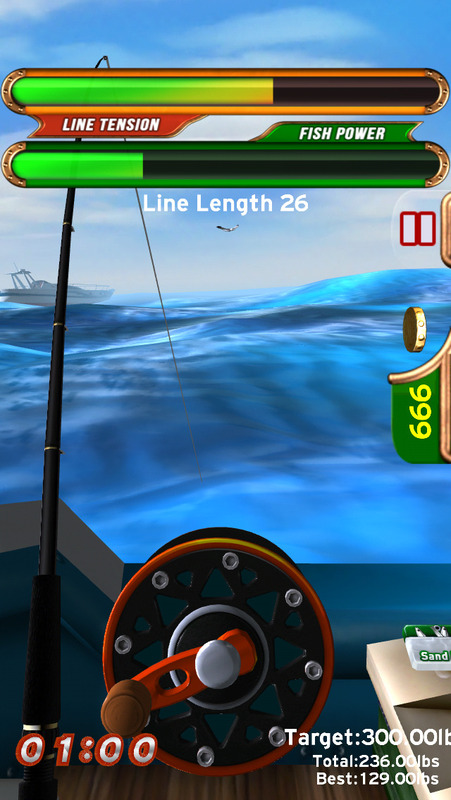 If you've purchased all the Tackle Box slots, you can now unlock any of the Fishing spots to fish in at will. You also get the ultra hard "Nnnaaarrgh!" difficulty option! Metal rendering on compatible devices. Zen Fishing mode is now called "Just Fish!" Help panels fixed for initial levels. Other Apps by Strange Flavour Ltd.